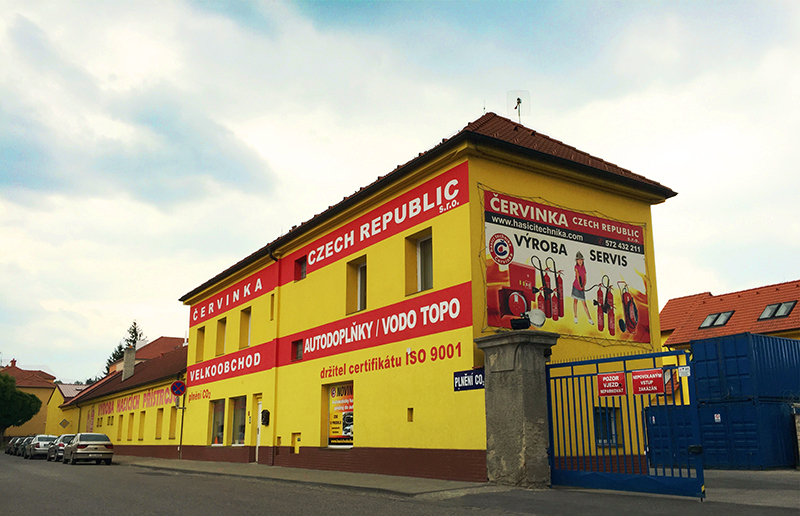 Company Cervinka-Czech Republic Ltd. was founded in 1992 by Mr Jiri Cervinka. Since then it has strengthened its position in the market and has become one of the major suppliers of fire-fighting equipment in Europe. The company produces and distributes wide range of fire extinguishers, hydrant systems, fire-fighting and hydrant equipment and car accessories. It exports the products to more than 30 countries in the world. Fire extinguishers, hydrant systems and other products, which require it, are certificated according to European Norm (EN). The certificates are issued by recognized testing laboratories like Apragaz (Belgium), Kiwa (Netherlands), SZU (Czech Republic), RINA (Italy) etc. The company constantly strives to extend the product range as well as to certify more and more products in various testing laboratories. There are also new certification for the Swiss market (VKF). Apart from business activities, the company focuses on marketing support via regular participation in international exhibitions or sponsoring of cultural events in the immediate vicinity of the company.